Two Great Families One Small Town. Cambridge, Ohio is no different than any other small town around the country. 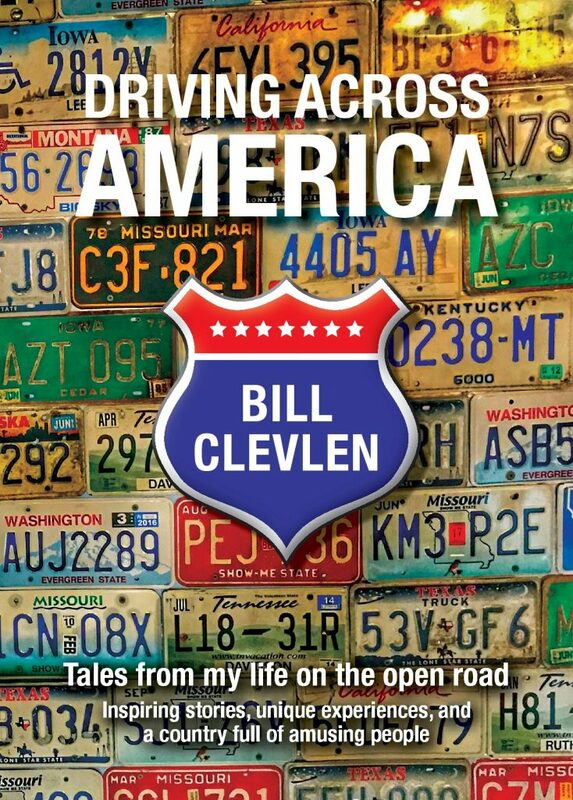 And in every small town – people know people. During my recent visit to southeast Ohio I stopped in Cambridge, a short drive from the state’s capital city – Columbus. One morning, I met two local families that everyone seemed to know and for all of the right reasons. The first stop was at Mosser Glass where I met family member and co-owner Mindy Hartley. She gave us a tour of their brand new facility full of beautiful hand made glass bowls, cups and other dishes. On a lower level, we walked through a tour of the production process – watching a group of guys crafting shapeless glass into these marvelous works of art. The Mosser Glass company was founded in 1971 and today Mindy along with her sister and other family members run the day to day operations. 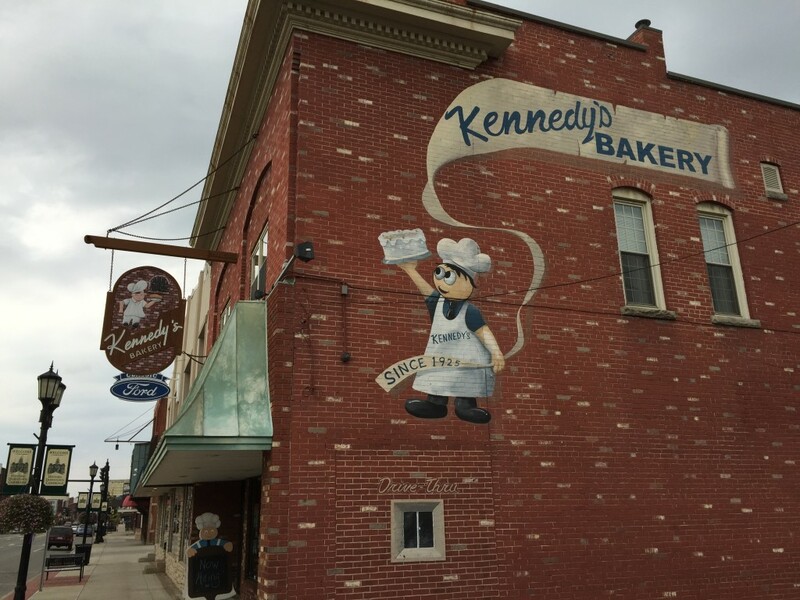 Down the road, Kennedy Bakery is another family owned business now run by a third generation and beloved by the Cambridge community since 1925. The fresh smells of homemade breads and the sights of delicious treats keep customers streaming in starting at six o’clock in the morning. Patty Kennedy who runs the bakery with her brother Bobby walked me through where the magic happens. Workers feverishly decorating cakes, shaping cookies, baking rolls and filling donuts. What appeared to be mass chaos was a well oiled machine that keeps up with the high demand for their fresh baked goods. Both the Kennedy’s and the Mosser’s are adored by the folks that call Cambridge, Ohio home. But both families have reputations well beyond their small city limits. Mosser Glass provides products for companies all over the world. 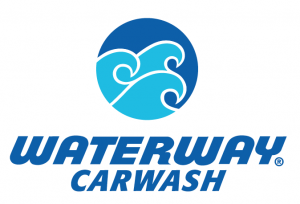 Whether it’s a replacement tail light lens for a classic car or one of their popular cake plates on sale in stores around the country. 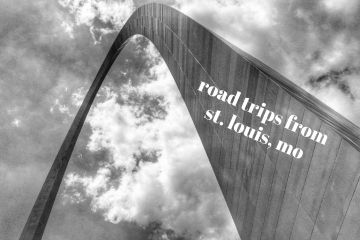 In fact, it wasn’t until after my visit and a quick search of “Mosser Glass” on Twitter that I discovered just how far their products have traveled around the country. I found hundreds of posts where people proudly posted photos of their favorite glass creations – glass cats, Christmas ornaments and even some kind of lemon juicer. 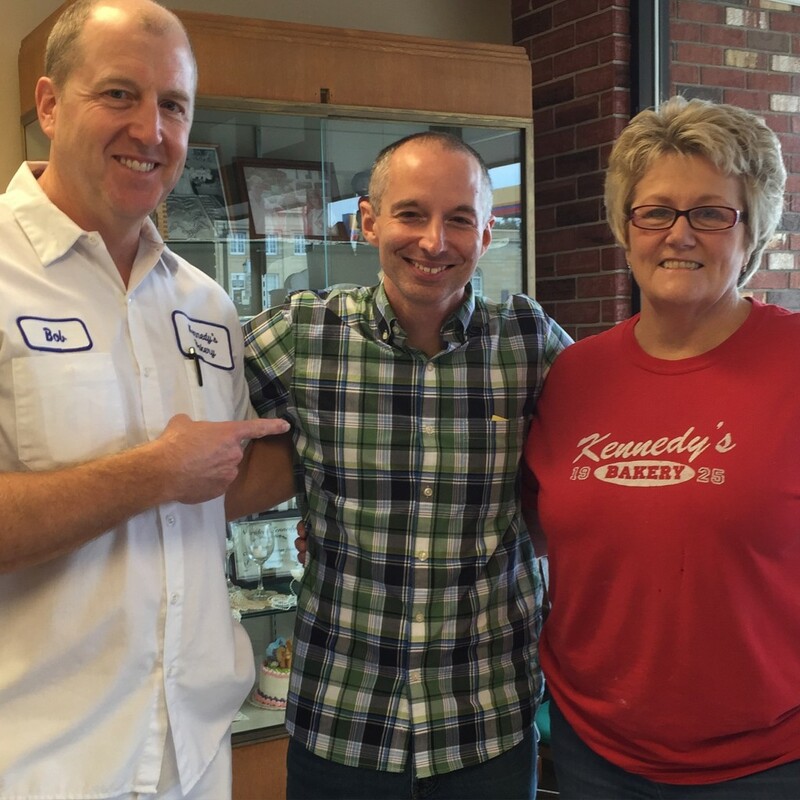 Hungry customers craving a treat from Kennedy’s Bakery can be found all over the world, too. 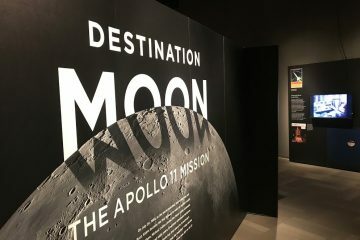 Thankfully, we were provided with ample opportunities for taste testing – and you can count me among the out-of-towners that would place an order. 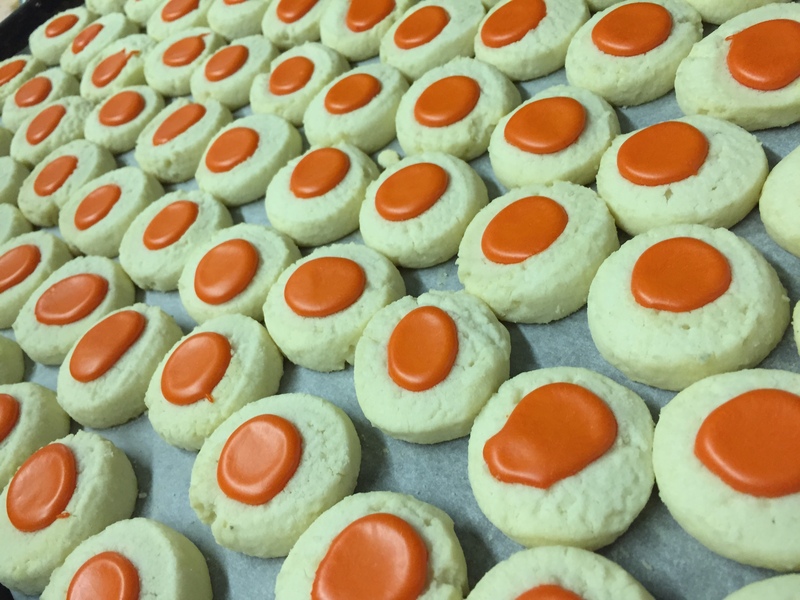 The Chinese tea cookie or “thumbprint cookie” is so popular that people have them shipped all over the world, including as far away as Germany. 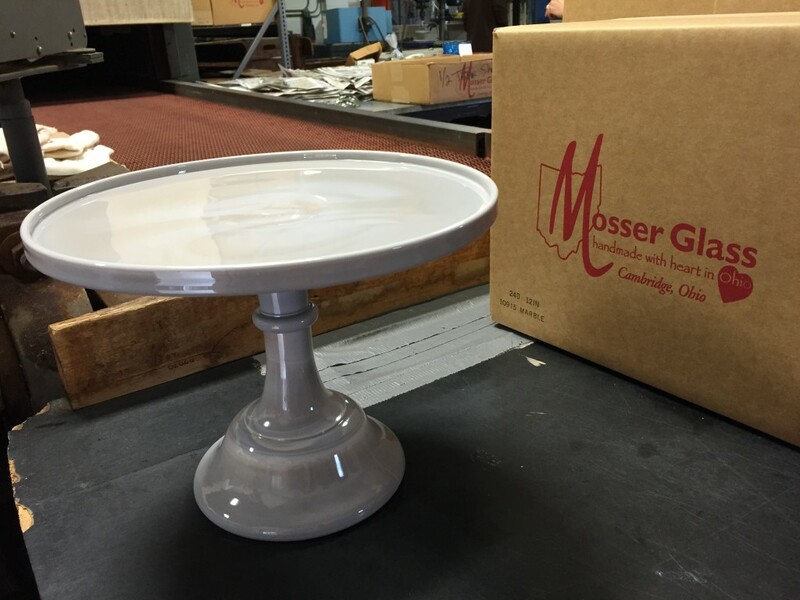 The Mosser Glass cake plate is a popular item that was currently in production during my visit to their Cambridge, OH facility. Back at Mosser Glass – Mindy Hartley talks about some of the more unique items that they make. 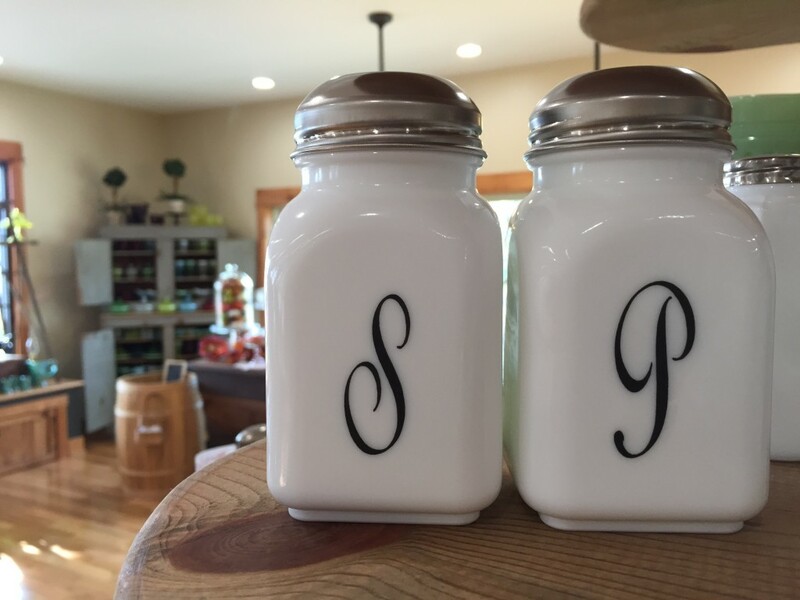 “One of our most odd things we make would have to be spit bowls for dentists.” After some fun banter between Mindy and her sister/co-owner Sally who share an office together – it became obvious that this was a tight knit group that loved their family business. Whether it’s Mindy greeting customers in the Mosser Glass showroom or Bobby waving to regular customers that stroll in for donuts – both families speak volumes for the character of this lovely small Ohio town.